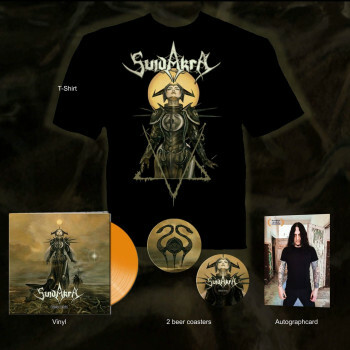 After 24 years of band history and 12 studio albums SUIDAKRA has become a flagship in the Celtic-Metalscene. During this time they toured around the globe, played any number of shows, mastermind Arkadius Antonik even spent a week on behalf of the German Goethe Institute to support regional musical projects in India and SUIDAKRA has been the first metal band ever that performed six shows there. Now, on 16th November 2018 they will release their thirteenth album, "Cimbric Yarns", that adopts a much calmer tone. Instead of their characteristic bombastic melodic death metal, the musicians impress with an acoustic, ambient masterpiece that takes the audience into a mystical land far before time. Needless to say the overall visual concept and the epic artwork of the album was also done by Verwimp. Among others Mathias Zimmer (Perzonal War) – vocals, Sascha Aßbach (Fall Of Carthage) - vocals, Tina Stabel - vocals, Shir-Ran Yinon (New Model Army) -viola, violin and Catalina Popa – flute appears as guest musicians.